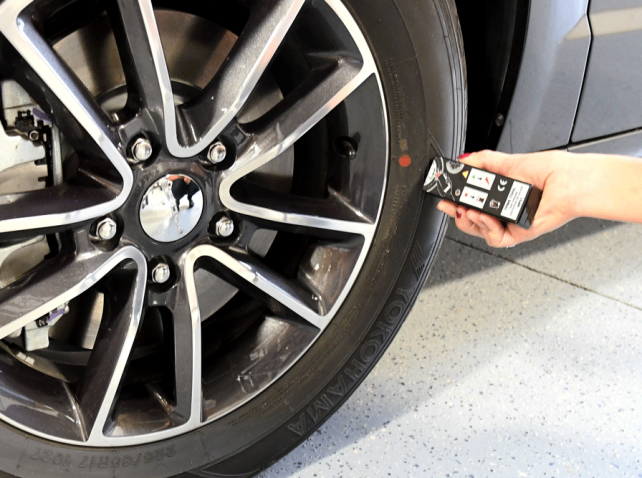 The VT6 activates Schrader TPMS sensors to assist in resetting TPMS systems. The VT6 sends an RF signal to the TPMS sensor mounted to the vehicle’s wheel to “wake up” the sensor. Once the tool triggers the sensor, the sensor is ready to communicate with the vehicle’s ECU. 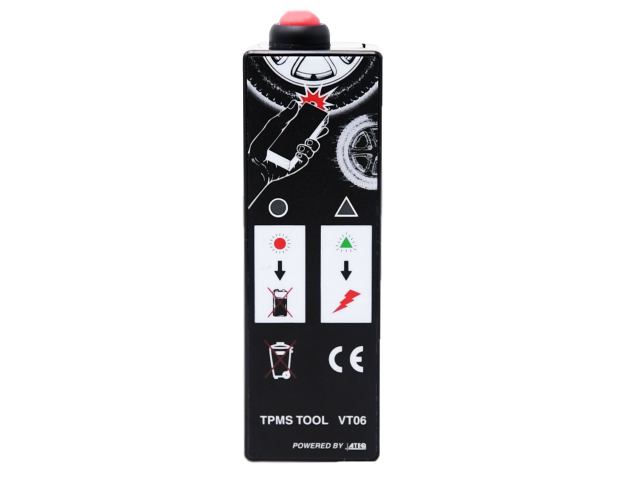 While holding the tool over the valve stem, press the button to activate the sensor. The tool will blink during this process. Continue to hold the button down until successful signal transfer to the vehicle’s ECU, diagnostic station or until the vehicle’s horn “beeps”. Detailed information about the VT6 including features, specifications and more.